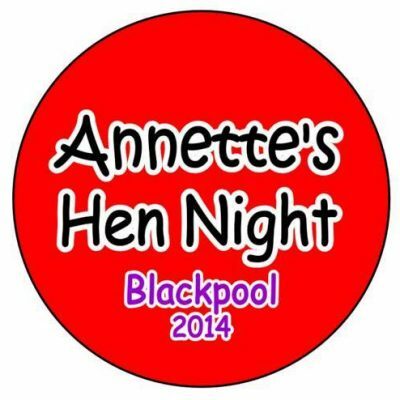 We know that it is difficult if you do not have a design in mind for your personalised hen night badges so we have produced many suggested variations to help make your selection process a little bit easier. 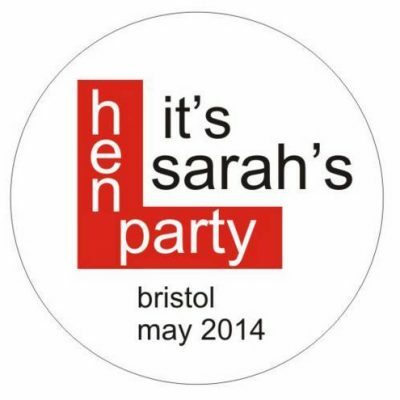 Personalised Badges are an ideal way of promoting your event and by individually personalising these badges with names or nicknames it is an easy way of identifying each other if some of the party attending have not met each other before the event. 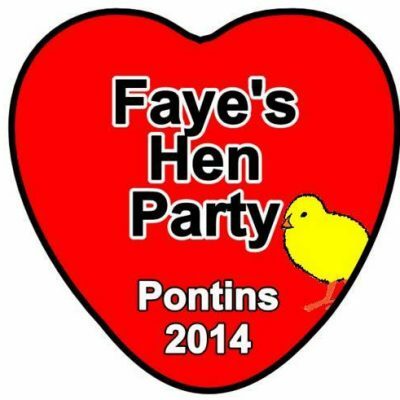 Our comments are not just limited to hen night badges, but we can equally design badges that are suited for birthdays or other special events, and with our low minimum quantities you can order just one and if required you can also add a photograph. Don't worry about cleaning up the photo - we can do that. Just make sure that all the face is visible (we can't print what is not there !) and that it is of good quality - and we can do the rest. If you email the image we can crop and remove any section that you do not want on the image and add any wording to the badge of your choice. We can also send mock-ups of the badges for your approval before completing the order to ensure you are happy and to make any alterations or additions you require. 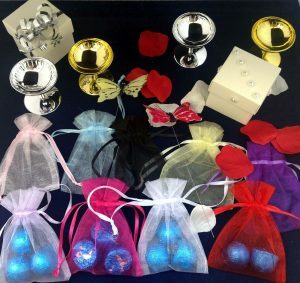 We understand that you would wish to make the party or night as special as you can and we are always here, every step of the way, to get things started with your badges. You now have the badge information. 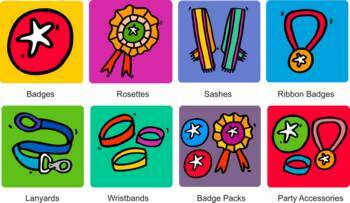 If you want to make the badge a little more outstanding then you can use the badge as the centre piece of a rosette. 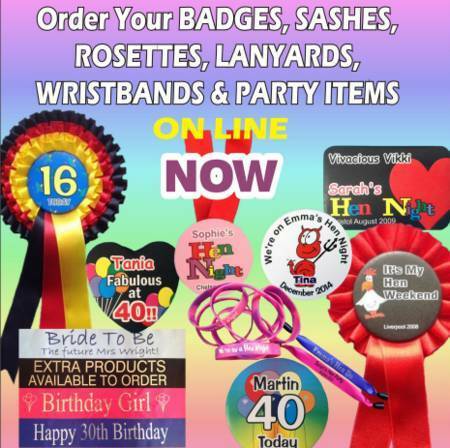 Choose your own colour scheme and design, and we can make you own customised ribbon rosette. All of our rosettes are produced using high quality satin ribbon, which is box-pleated prior to the rosette being assembled, to give a full pleated ribbon layer on each of the ribbon layers. 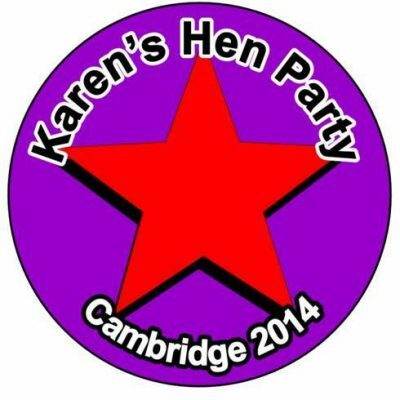 Every party requires something special to create a great event, and by using our websites you can certainly achieve some great effects for your party, especially by designing your own hen night badges on line with us. We have many novel designs and badge shapes for you to choose from - ranging from circular ones which are available in diameters of 45mm, 57mm or 75mm, as well as badges shaped like hearts and the more regular shaped badges in rectangular format. In case you prefer to wear these badges around your neck then we can supply them as lanyard badges or ribbon badges where the actual badges are attached to a ribbon which is then placed around the neck. A great idea if you would prefer not to use a safety pin to attach the badges to your clothing. On all of our styles of badge, you can choose your own colours and wording. 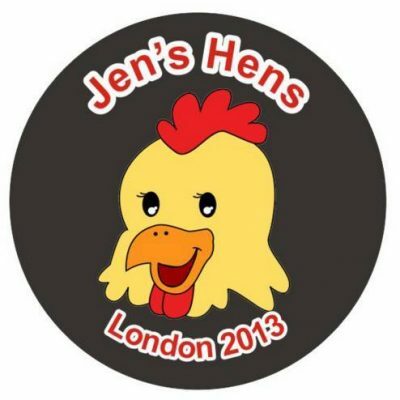 If you want you can specify a special hen party badge for the Bride to be and then to make this even more special and make the Bride standout from the rest of the visitors you could also make her badge into a rosette. For a cheaper option then we would suggest making her badge larger than the ones that you are being ordered for the remainder of the guests. It's not just a case of adding the name of the Bride, you can also add the venue and the date of the event. For a small extra charge you can also add the names of the individual guests - not just their name but also their nicknames. On a lot of our badge designs you can also include a picture of the Bride. Take this opportunity to embarrass her by choosing a picture from her school days or when she was caught in an embarrassing situation There's no better opportunity to do this to her. 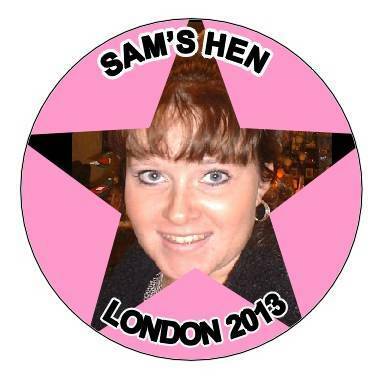 All of these hen night badges are supplied with a safety pin clip. We know how difficult it can be to choose a design so we have created many sample layouts for you to look at. 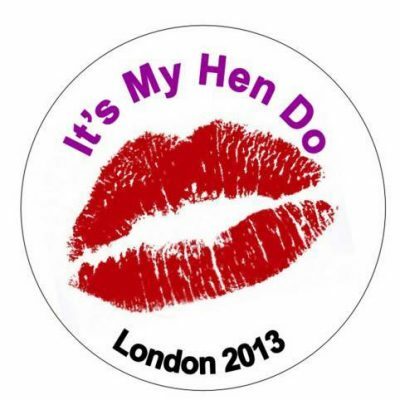 You can use one of these designs for your hen night badges or choose your own. 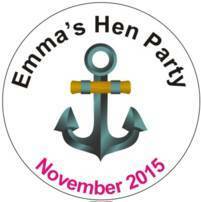 Order personalised hen night badges on line now or just send us your request by email.